• Kris Putnam-Walkerly, writing for Exponent Philanthropy, discusses the importance and differences between checkbook philanthropy and transformational giving. • The author says that transformational giving requires funders to look at policies and practices that are contributing to problems, rather than solving them. How does this align with a systems change approach to philanthropy? • Jean Case offers five principles of fearlessness in transformational philanthropy. Giving Compass' Take: • Matthew Forti and Dave Peery discuss building blocks of better grantor-grantee relationships, prioritizing communication to ensure mutual benefit. • How can funders and foundations accurately evaluate their existing relationships with grantees? • Read humorous answers to grant proposal questions to learn about mistakes that grantmakers make. There’s an ugly truth in the social sector. The grantor-grantee relationship—so pivotal for converting resources into impact—can be marked by strain, mistrust, and lack of empathy. This leads to real consequences for our happiness and longevity as leaders, the health of our organizations, and most importantly, our ability to achieve our missions. But it doesn’t have to be that way. Our organizations—the Peery Foundation, a funder that strengthens youth and families to build lives of dignity and self-reliance, and One Acre Fund, a nonprofit that provides financing and training to Africa’s smallholder farm families—have worked hard for more than five years to develop and nurture a trust-based relationship. We hope the examples below, based on our experiences, will provide an illustration of how we can all build better relationships to unlock real value for the communities we serve. 1. Money: It’s at the heart of every grantor-grantee relationship—and it can also be at the heart of their dysfunction. But it’s very possible to take trust-building steps that balance the power dynamic, and incent good outcomes for both grantors and grantees. 2. Connections: Like it or not, networks make the world go ’round. But all of us have, at one time or another, muffled a groan with a smile when a well-meaning partner connects us with an organization or individual without first checking whether it would be fruitful for both sides. By better understanding the priorities of our partners, we can make much richer connections. 3. Exits: As with all relationships, parting ways can be messy. But we’ve also seen many well-managed exits, where both parties sought a gradual and gentle formal separation, while maintaining a less-intensive, ongoing connection. 4. Feedback: Every organization says it wants feedback. How often have you heard phrases like: “The tougher the feedback the better,” and “If there’s anything we can do better, let us know.” But in a relationship with an obvious power dynamic, this is far from sufficient—parties must put in place formal mechanisms to gather feedback and demonstrate through actions that constructive feedback is welcome. Read the full article about grantor-grantee relationships by Matthew Forti and Dave Peery at Stanford Social Innovation Review. 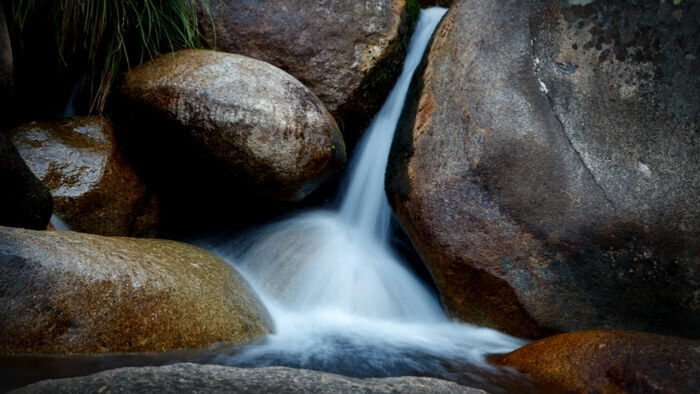 But no matter what you call it, transformational giving is always working its way upstream, identifying an issue and following the trail all the way to the source—and to other tributaries that may feed the problem along the way. I call this transformational giving. It also has other names, like addressing root causes, funding proactively, or moving the needle. Read the full article on working upstream by Kris Putnam-Walkerly at Exponent Philanthropy.